People know you’re a great mixer, but maybe you feel like you’re missing a little something to become even more memorable. 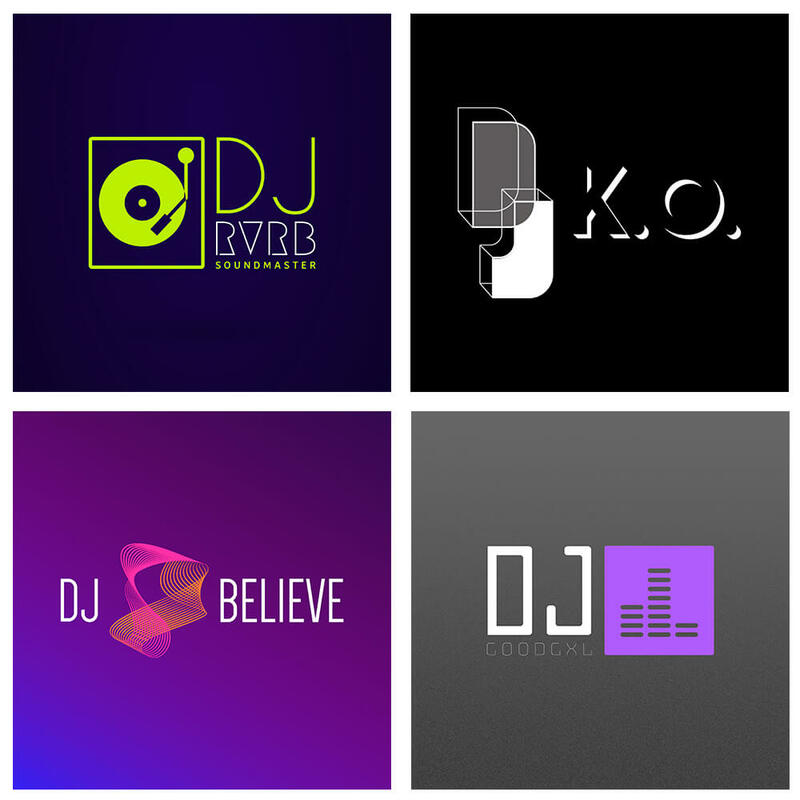 Have you thought about getting a DJ logo? When you establish and unify your visual identity, you start creating a personal brand, which is important to your image as a professional musician. If you’re thinking it’s about time to create an iconic music logo design to promote yourself, we’ll show you how to do it in minutes without a designer or any complex software. Why Is A DJ Logo Design Important? By creating a personal brand, you will transmit values such as thoroughness and commitment to what you do. Think of your favorite DJs and artists, they all have their own brand narratives. Having a strong image will make your posters, flyers, merchandise, and social profiles stand at a higher professional level. As your career develops, you’ll need to stand out from the crowd and have a solid identity. What a great logo can do is help your fans develop an affinity for you. Think of how an image has the power to evoke deep feelings, and how cool it is when you recognize an artist’s brand online or on the streets. With a logo, your fans will be able to show you their support by sporting it in hats, t-shirts, stickers, or by sharing your newly branded music! Click on the slider to see some DJ logo ideas. Your logo should represent your music, be simple, clear, and easy to place over black and white surfaces. By using Placeit’s DJ logo templates you’ll get to download a transparent background version of your logo, and one with any background color that suits your style, so feel free to experiment. You could also consider creating business cards to give away during gigs or other events to create a stronger relationship with those who could help you grow even more. You never know when you’re meeting someone important! Write in your stage name, you can change the font style and color on each of the three text boxes. Use them all or only a few depending on the weight you want to give to each part of the text. Click on the checkboxes next to the text input to activate or deactivate a text line. Pick an icon that matches your style and what you want to communicate. Change the color to your liking. Choose your icon’s alignment from one of the four options, feel free to play around with them. Select a background color, you may choose a texture or upload your own background image as well. Download your new logo! You’ll get two files: one with the background you selected, and a transparent background version of your logo for you to place wherever you want. Put Your Logo On Merch! Here comes another fun part: marketing your brand with your DJ logo. Think about its applications and get going! Ask promoters to use your logo in the artwork for your shows. Display it on your social platforms. Print merch. Let your followers support you by getting a practical and cool item made by you. 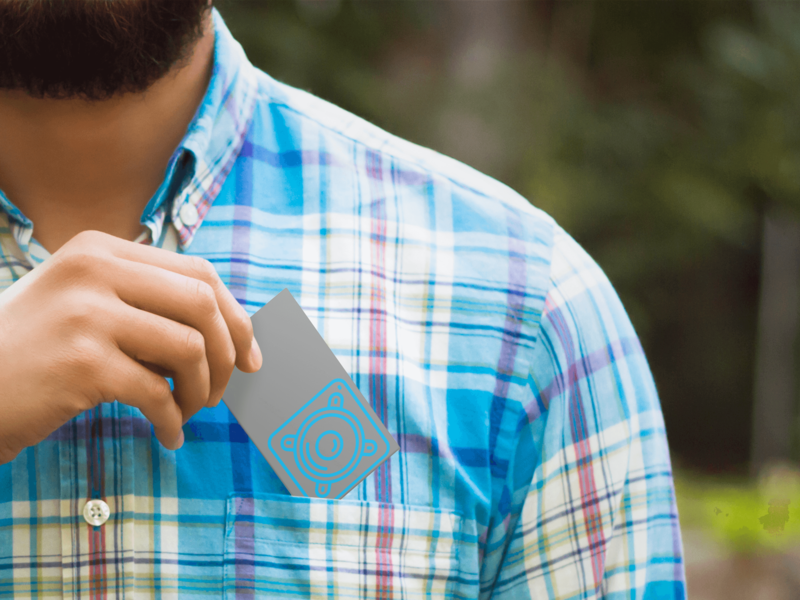 With Placeit’s mockups, you can create previews of your merch, both in photograph and video. Use them to let your fans know what you’re up to and which items they can get. Now that you have the tools to create a DJ logo and lots of ideas of what to do with it, go ahead and try it for yourself. Personalize your logo super quickly, without having to leave your browser or hire someone else. You’re already a creator, so why not take a chance at designing your own brand image? Looking for a different type of Logo? Check out these 9 Tips to Create Your Own Fitness & Gym Logo. It's time to boost your music! With Placeit you can create balanced and simple logos for your business or even yourself! If you're a DJ, use the easy DJ Logo Design Template to start building your brand image today.
" I love how simple making a logo can be with Placeit's templates." It’s Not Too Late to Advertise for Black Friday! It's never too late! You stilll have time to market your business's Black Friday promotions and deals! Make salesy banners and flyers for your discounts. Designing an HVAC logo is easy thanks to Placeit's logo templates. Create a professional logo in minutes that will help you stand out from the competition! Start your plumbing business on the right foot with the perfect plumbing logo! Learn how to make your own and brand your business properly. Starting a new consulting firm? Placeit's logo maker and designers are all you need to brand it in no time. Get started today!